This is another situation that happened on a database migration at a client site. The database migration was done by using SSIS packages on quite a big database of 450 GB, and on a very powerful hardware (16 cores, 128 GB RAM and fast SAN storage). 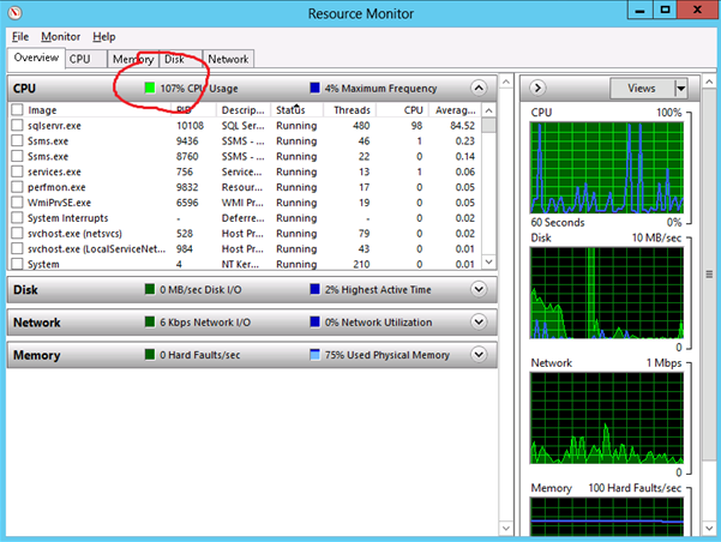 However, the processing power was over-high so that it happened the following shown in the figure (CPU 107%). We waited for a while and it went down. However extraordinary. This entry was posted in Uncategorized and tagged cpu by Igor Micev. Bookmark the permalink.